Compact and curved chain bag by British brand, Hill & Friends. Utilising sleek lines and ethical practice, the ‘Tweency’ is from the label’s Happy line. 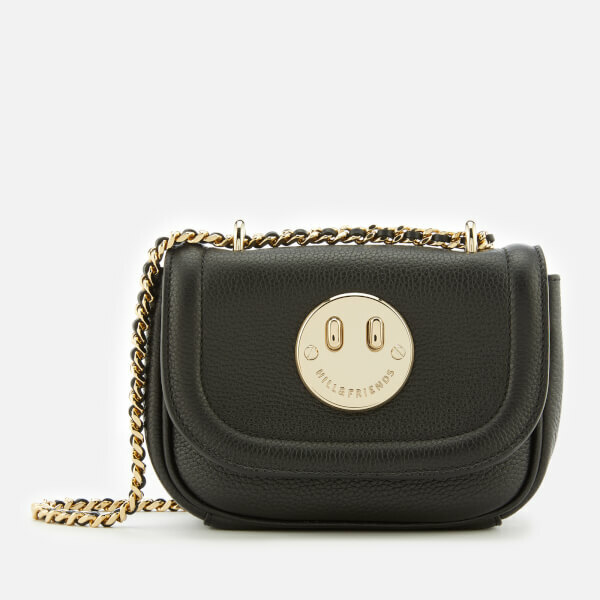 Crafted from glazed goat leather, a front flap with a trapunto (padded) edge features the signature twist lock in the shape of a winking smiley face. Within the bonded suede lined interior is a slide pocket. 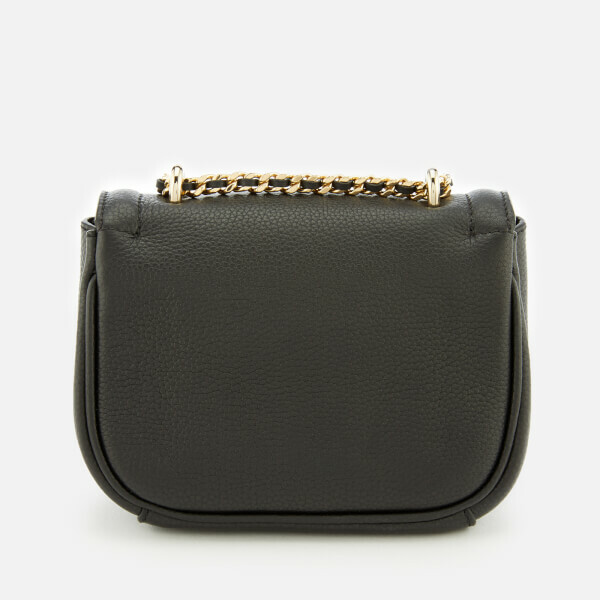 A threaded chain strap, which is also adjustable, allows on-the-shoulder or cross body wear. 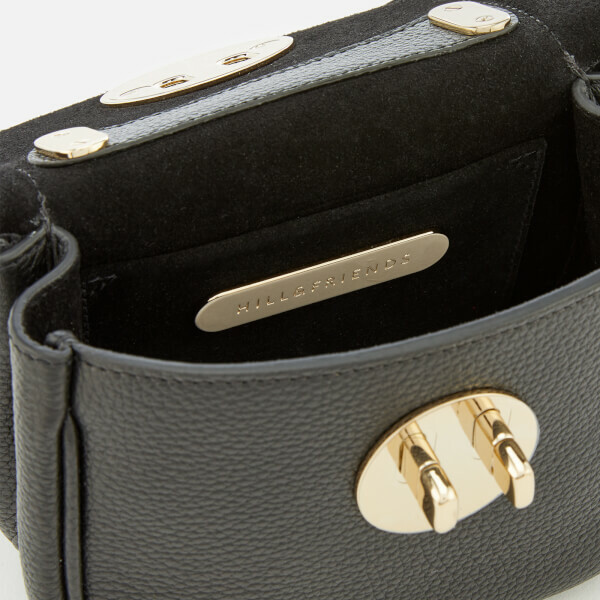 Piped seams trim the outline of the leather bag and combines with gold-tone hardware and logo engraved metal plaques. Dimensions: H: 12cm x W: 16.5cm x D: 7.5cm. Handle Drop: 66cm.